Organic Extra Virgin is the finest olive oil, with its robust, fruity flavor, exceeds gourmet’s rigorous standards for full-bodied taste and low acidity. Our unique olives are produced without any chemical fertilizers and they are crushed at our organic certified facilities. 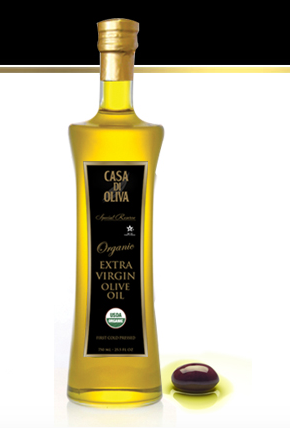 Organic Extra Virgin Olive Oil has no preservatives or additives and is all natural.